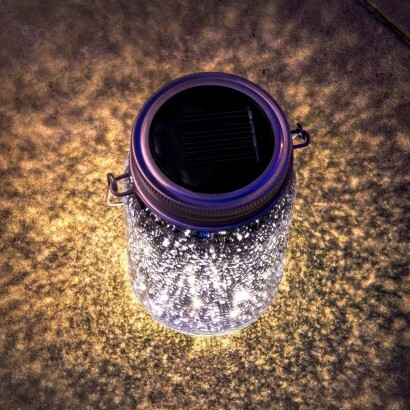 Add soft accent lighting to your garden and outdoor spaces with rustic glass jar lanterns lit with warm white LEDs. 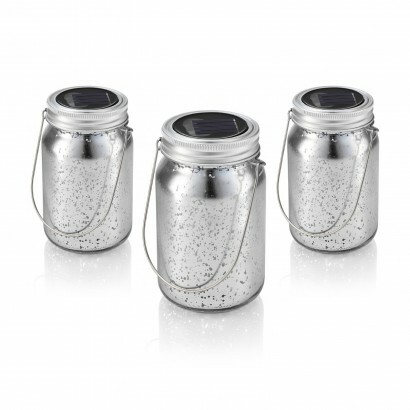 Three high shine metallic glass jars each have a stripped back splash effect, allowing warm white light to shine through the jars with an enchanting golden glow. 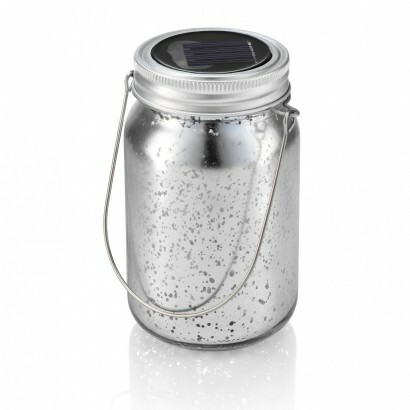 Perfect for hanging in trees, bushes and trellises, for delicate table top lighting, these solar jars add wow factor to your summer garden detecting darkness to illuminate night after night.